Children are the future of the country and it is important that they understand the values and the achievements of our country. The Indian Army, Navy and Air force work very hard, at the cost of their lives, to protect our country and fight for it. The border areas, where they are posted, are not a pleasant place to live in, and they sure have a tough life. It is important that the children of our country understand the tough border condition and understand what the Indian Army does for us. Bringing in a sense of patriotism is essential and so a new scheme was introduced, called the Seema Darshan. Seema Darshan was an initiative that was taken earlier in this year. 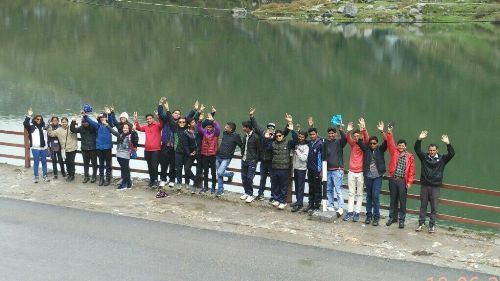 Under this scheme students from different schools were taken for a trip to the border areas of the country. Here the students interacted and also organized a variety of cultural and traditional programsfor the soldiers that was designed with a motive of motivating the soldiers. Why was this scheme initiated? The main reason for initiating this scheme was to provide the students of India with an experiences of the border areas and the way the soldiers’ lives in order to maintain the security of our country. With this scheme the government of India wanted to rise the sense of patriotism among the students so that they understand the strength and the sacrifices of the Indian Army. The scheme was not only designed to bring a sense of patriotism among the students, but also to motivate the soldiers in what they are doing for our country. The scheme was initiated by the Ministry of Human Resource Development along with the Ministry of Defense and Ministry of Home Affairs. Under this scheme a program of Five days was planned, that started on the 22nd of January 2016 and was conducted till the 26th of January. Students of class 11 from government schools like Kendriya Vidyalaya Sangathan and Navodaya Vidyalaya Samiti were selected. Around 30 students from each schools were taken to areas such as Akhnoor and Attari Borders. The students performed for the jawans and through their cultural acts they demonstrated how they would take forward the culture of the country and take their country towards development. The main message that was given to the soldiers was that as students they would carry forwards the legacy of the country, for which the soldiers fight constantly. Apart from this cultural program conducted by the students, the students were exposed to the border areas so that they could experience the life there. The Seema Darshan program comes as a motivation for both school students and the soldiers of the country. With this program the government has requested more and more school to take their students to the military camps and give them a hand on experience on the life of the Indian soldiers. With this Seema Darshan Scheme the younger generation of India would able to experience the environmental situation prevails around Indian border. The current Chief Minister of Gujarat, Vijay Rupani, has given his consent for the launch and implementation of Seema Darshan Project. The activation and successful completion of this scheme will prove to be beneficial for Gujarat State Tourism. For this, the state financial department has already approved Rs. 39 crore. Necessary resource development is a must for making these ideas a reality. The developed stretch will have its commencing point at T-Junction. It will end at the Zero Point at Nadabet. When completed, visitors will be able to enjoy events at the new exhibition halls and amphitheaters. These buildings will be able to accommodate around 5000 visitors at a single seating.